Steve Suellentrop is chairman of Hunt Oil Company and Hunt Refining Company. 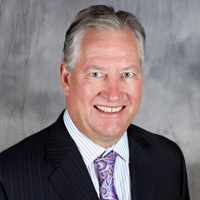 Before joining Hunt, Suellentrop was vice president of technology and operations services for Atlantic Richfield Corporation, where he directed ARCO's exploration and production research and technical support efforts. Previously, he served as vice president, Europe and North Africa, where he led operations and new business development at Arco British Ltd., and new business development ventures in Europe and North Africa. Suellentrop earned bachelor's and master's degrees in petroleum engineering from the University of Missouri at Rolla now the Missouri University of Science and Technology.